Public Sector Undertakings In India:- In India, a government-owned corporation is called Public Sector Undertaking (PSU). This term is used to refer to companies in which the government (either federal Union Government or any state or regional governments, or both) own a majority of the company equity (51 percent or more). Evolution Of Public Sector Undertakings In India:- During the British Rule, the presence of factories and enterprises was specific, although they were mostly built and used for the inherent interests of colonialism and thus were very good to India and its people. Post Independence due to other factors along with the above, India was in deep socio-economic issues. There was grave underdevelopment, along with disparities in income, unemployment, lack of trained manpower and weak industrial base and investments, unacceptable infrastructure facilities, etc. 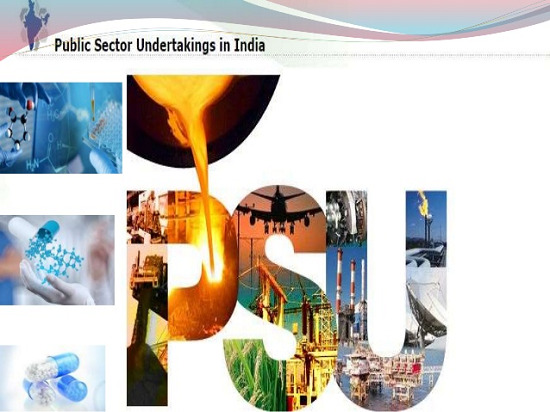 Role Of Public sector Undertakings In India:- PSUs has laid a strong foundation for the Industrial development of the country as it is not interested in making the profit but nation building. They leverage the government to intervene in the economy through the major shareholding in the Industry, which helps in achieving desired socio-economic objectives and long-term goals.